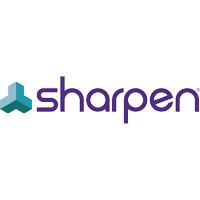 Sharpen Technologies is a customer experience technology provider that offers mid-size to large organizations a cloud-native, agent-first, omni-channel contact center platform. Its solutions address decades-old agent issues responsible for poor customer experiences. Sharpen’s proprietary Agent Experience Score (AXS) gives contact centers a new way to measure and track not only performance, but overall agent well-being. The company’s unique omni-channel approach gives agents a simple, unified desktop for multimodal communications. Deep analytics and intuitive, flexible reporting reveal accurate and actionable insights into performance. Sharpen was named among the 2018 Best Places to Work in Indiana and is a recipient of the 2018 Stevie American Business Awards. The company was also ranked by Nemertes Research among its 2018 Top Rated Contact Center Solutions Providers. Sharpen employs 75 people serving approximately 250 customers. The company was founded in 2011 and is headquartered in Indianapolis, Ind. Visit Sharpen on LinkedIn, Facebook, YouTube, Twitter and the Sharpen blog.